Sears is going to war with one of its key suppliers. The company that makes Craftsman power tools is using doubts about whether Sears can stay in business to get out of its contract with the retailer, Sears says. The retailer, which has been on the ropes for years now, filed suit against the Chinese-owned One World in state court in Chicago Monday. 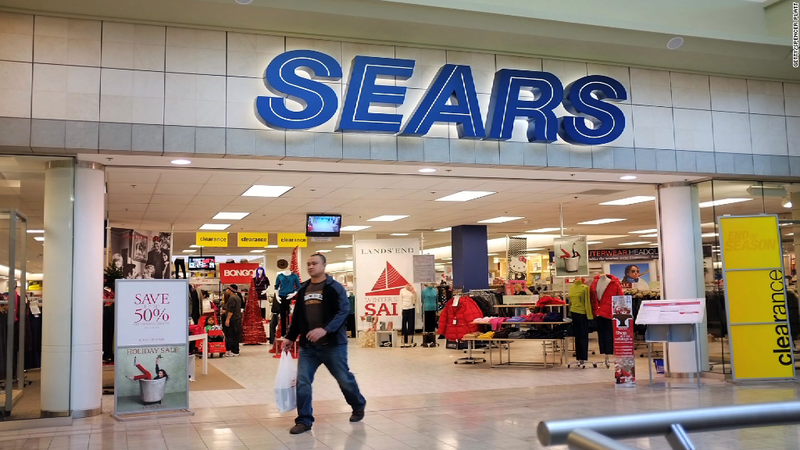 In a blog post Monday CEO Eddie Lampert attacked One World, saying it is unfairly trying to use doubts about the future viability of Sears Holdings to get out of its contract. Sears Holdings (SHLD), which owns both the Sears and Kmart brands, warned in a filing in March there was "substantial doubt" that it can stay in business, although it has not filed for bankruptcy protection. "One World has informed us of their intention to take the very aggressive step of filing a lawsuit against us as they seek to embarrass us in the media to force us to let them out of their contract," Lampert wrote in his blog post. "But Sears has nothing to be embarrassed about -- we have lived up to our word under our contract." Sears recently sold its Craftsman brand to Stanley Black & Decker (SWJ) for $525 million to raise much needed cash. But it continues to sell Craftsman brand tools that are made by One World and other suppliers. Sears Holdings has not turned an annual profit since 2010, and it has lost more than $10 billion since then. But Lampert and Sears have been insisting that the store's financial condition is not nearly as dire as the SEC filing about its long-term prospects might suggest. The CEO told shareholders last week that suppliers have been treating the company "like a pariah" since the filing, and this public battle with One World is certainly a signal that suppliers have their doubts. Sears Holdings buys $13 billion of goods from its suppliers annually, and the entire retail industry relies on suppliers to provide goods on credit. Lampert acknowledged in his post that fears about a possible bankruptcy have been making suppliers nervous, but said that new vendor agreements have reduced their risks. Still, it hasn't been able to reach a deal with One World, which is owned by Techtronic Industries, a Chinese-based conglomerate that Lampert said has more than $5 billion in annual revenues. One World also makes power tools under the Ryobi brand, which are sold by Sears rival Home Depot (HD), among others. "There are important competitive reasons why we will fight hard to hold One World to honor our agreement," Lampert wrote. By cutting its commitment to Sears, One World can do more business with Sears' competitors without incurring any extra costs, leaving Sears at a disadvantage. One World did not immediately respond to a request for comment.